Go exploring with Dora! 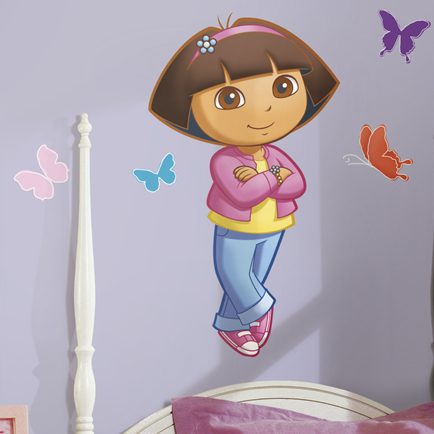 Our selection of officially licensed Dora the Explorer wall stickers will surely delight junior adventurers. Like all RoomMates wall stickers, these adorable designs are removable, repositionable, and reusable multiple times. They can be applied to any smooth surface and peeled away at any time without residue or damage to the paint or finish. They're so easy to use that your little ones can even help you decorate! POur fun designs are certain to thrill little adventure-seekers and explorers alike!